We like to keep Valentine’s Day pretty low key in our house. Usually we’ll cook a nice dinner together, open up one of those bottles of wine that we stash away for a “special occasion” and maybe watch a rented movie. If we go out to dinner, we’ll go out the day before or the day after to avoid the crowds. This year is a little different (for obvious reasons). So we decided it would be fun to spend V-day starting our registry at Babies R Us. Because Valentine's Day was a weekday and we both had to work, we only had about an hour to go around registering for things before the store closed. We arrived, checked in at the desk and were given what I like to call the “fun gun” (i.e. the scanner that you use to scan in items to add to your registry). 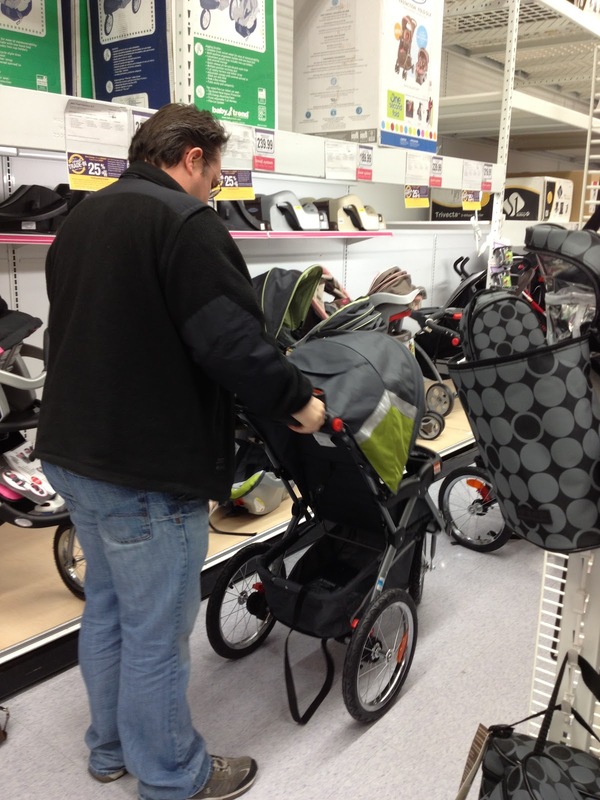 Much like when we were registering for our wedding, Aaron got to be in charge of the fun gun for the baby registry – I find it makes guys more willing to participate in the registering process. Since we had limited time, we decided to focus on the bigger ticket items. We started with the gliders (aka rocking chairs), mostly because we tested them out while waiting for the customer service guy to greet us at the registry desk. We found one glider that we really liked . . . and then we looked at the price. 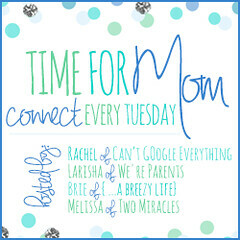 We added it to the registry anyway because we knew it would be a good starting point for research. In fact, most of what is currently on our registry was scanned with the thought, “Well, at least we know we liked it in the store and we can use that as a research starting point.” So, if you are planning on buying us a gift, don’t go running to the registry yet . . . it still has a long way to go. After the gliders, we looked at cribs, and got slightly overwhelmed. After wandering around that entire section, we found one crib that we really liked, but it had an attached changing table and was kind of expensive. I would actually prefer it without the extra piece, especially if that could bring down the price. I went online after we got home and found a crib that I think is similar, but without the attached changing table, and is significantly cheaper. But I think we’re going to have to re-visit the store several times before coming to a final decision on crib. I know we want one that can convert to a toddler bed – though it seems like that must be the “thing” these days. It’s actually pretty hard to find a crib that doesn’t convert to 3 other beds. We had just been to a friend’s kid’s birthday party and were admiring their 3 wheel travel system style stroller. So we decided to pull out one of the 3 wheel, jogging type strollers and see how it feels to push it around and test it out. It must have been super amusing to the Babies R Us employees to watch us, rather obvious first time parents, in the aisles trying to figure out how to fold and unfold this stroller. At least I know we were laughing about it! Aaron testing out the stroller. I swear, the smaller the infant, the bigger the gear! Those simple, lightweight strollers that are further down the aisle won’t be available to us until the kid is significantly older. By the time we finished looking at the strollers, we were running short on time (and I was running out of steam), so we quickly strolled by the high chairs and decided that would definitely require a different trip, same with bouncy seats. I think we put an infant swing on the registry, though honestly, I can’t remember at this point. I hope this helps and if you have any questions you know where to find me.